Hi there! 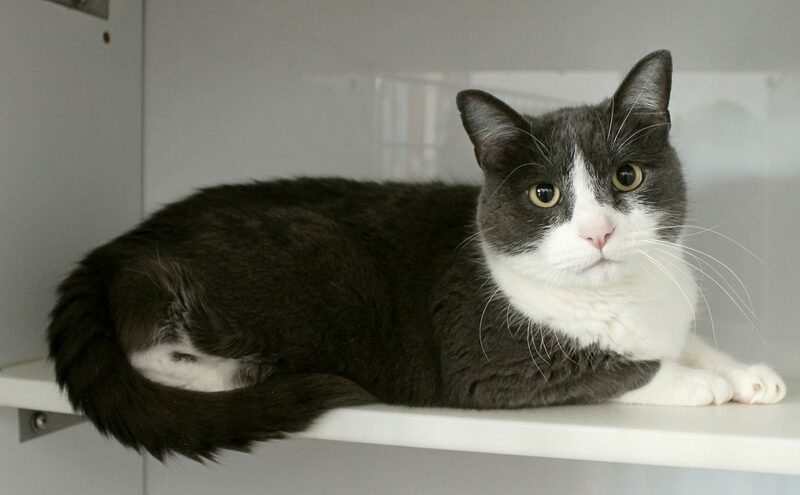 My name is Snoopy and I am a charming, chunky 9-year-old boy looking to settle down in my forever-home after the recent passing of my person. I’m a very soft and affectionate kitty with a very big heart and mellow demeanor. I would do best in a home where I could be your one-and-only king of the castle so that I can steal all of your attention. I don’t have a mean bone in my body but I am pretty mellow so young kid energy or hyper dogs might be too much for me. I’d do best in a quiet home where there was someone to love on — I’m really into the cuddles! I don’t mind being picked up and hugged and I love to snuggle up in warm blankets. I have a very stable heart condition that requires daily medications, but I am super healthy otherwise! My teeth are clean and my bloodwork looks great, plus I’ve had a lot of excellent vet care over the past few years and my condition has been sorted out already, so I won’t need anything extra right off the bat. I’m very good at taking my pills and I although I will need to go see my cardiologist again in two years, they have offered me free check-ups for life! 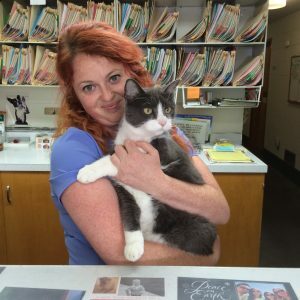 Many kind people both at veterinary clinics as well as Pixie have been so helpful to me after my human died — they know I’m a wonderful kitty and just want to find me an equally wonderful home that I can spend my golden years in. I can’t wait to meet my new human family; I know we will be just purrr-fect together. Think I could be your new best friend? Come to Pixie to meet me today! I come to you fixed, vaccinated, and micro-chipped for an adoption fee of $80.